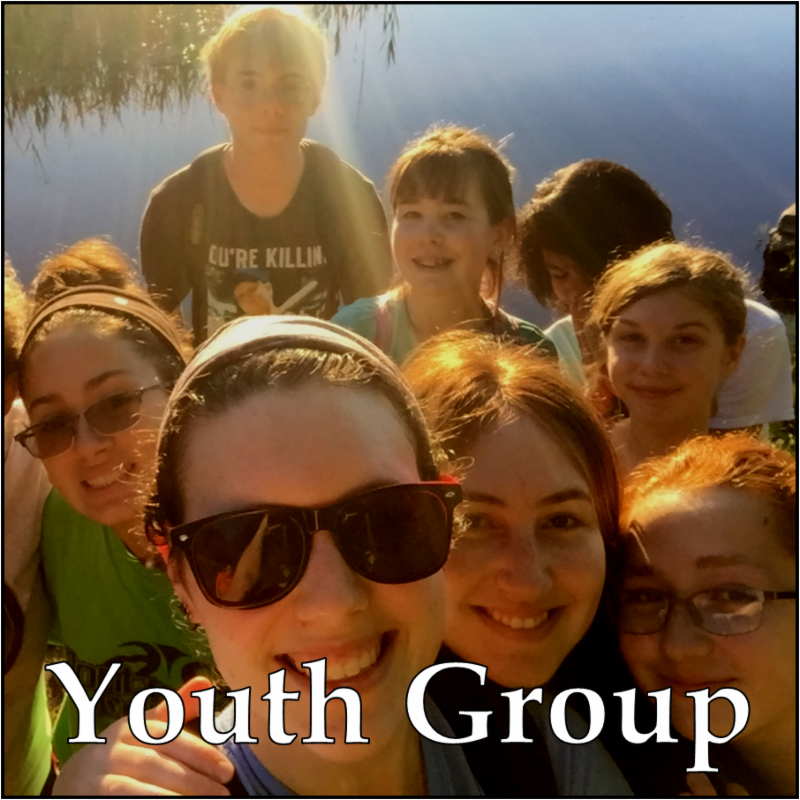 The Bridge the Gap campaign is off to a strong start thanks to your generosity! After the first week of second offerings to help close our $27,000 budget deficit, we have $6,595 in contributions and new pledges, nearly 25% of the goal! These second collections will continue this Sunday and throughout Lent with the specially marked envelopes in the pews. 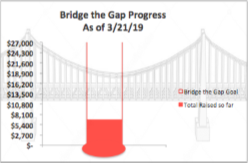 Please mark checks with “Bridge the Gap” in the memo line so we know to count your contribution towards this effort. And don’t forget, you can also contribute by pledging or increasing your 2019 pledge. Forms are available for pledges. For increased pledges you can fill out another pledge for or you can simply send a note to Peter Hanke at administrator@ccpk.org with your new pledge commitment. Thank you for your help in bridging the gap! Lenten Children's Chapel (10AM) : Barbara Ferry, Cindy Winder and Ann Enkiri co- lead the children in giving thanks for this season of Lent, which refers to the springtime lengthening of days. 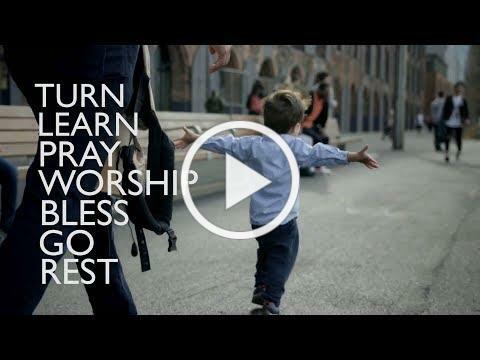 We will pay special attention to the ways we can come closer to God, especially through praying The Lord’s Prayer. As we learn this prayer, we will remember, experience and know that God is there for us—full of compassion and mercy. Each child will receive special Lord’s Prayer beads at Chapel and will decorate a box for these beads which we will keep at church throughout Lent. 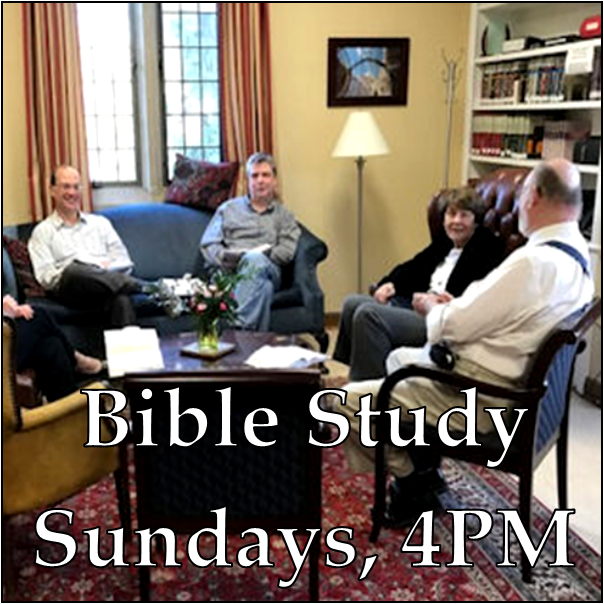 ﻿Lenten Sunday School (after the 10AM Service) : In Godly Play, Andrea Dorf and Ann Enkiri will present Old and New Testament stories showing that we can trust God to be with us always. Stephanie Feller and Ann Enkiri will take turns working with Grades 1-3 to explore The Lord’s Prayer and to connect the Sunday scriptures to this powerful prayer. Liz Quinn and John Ward will alternate working with Grades 4 & 5 to express The Lord’s Prayer in language that is personally meaningful and will pay special attention to Luke’s telling of Jesus’ life from the beginning of his public ministry through the events of Holy Week. Youth Group Youth meet for conversation and snacks in the youth loft! Busy-ness getting you down? Need a mid-week break? 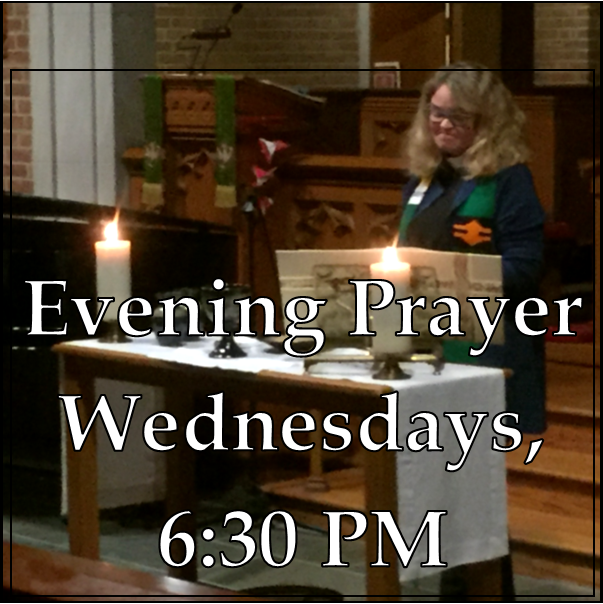 The evening service every Wednesday at 6:30 p.m. combining Evening Prayer with Holy Eucharist Rite II just might be the answer. A Prayer Book service, it combines the end-of-the day liturgy, including familiar canticles, a brief homily with a time for personal meditation, and the Communion service using varying Eucharistic Prayers. We look forward to your joining us! 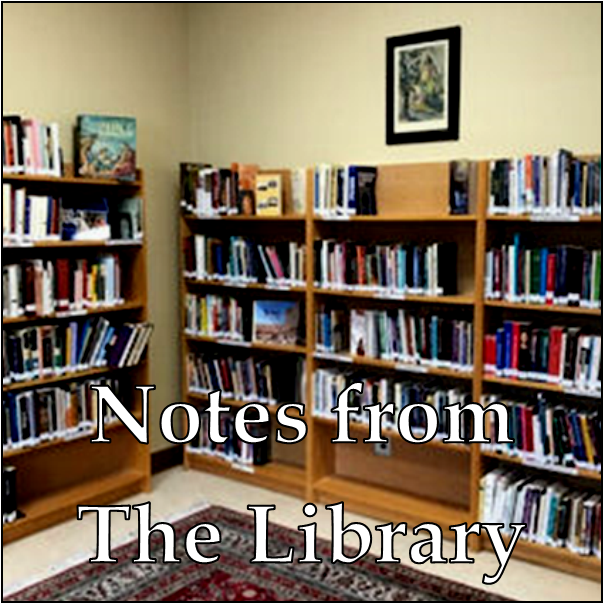 The Library's Lenten books are on display on the table in the Library/Parlor. You can check them out to read during Lent! ﻿Also, MEDIC AGAINST BOMB - A DOCTOR'S POETRY OF WAR by Dr. Frederick Foote, is available in the Library. Dr. Foote was the speaker at our Forum on March 17. Questions? Please email our librarians, Sharon Bartram ( psbartram@verizon.net ) or Annabel Kaufman ( awkaufman@verizon.net ) to let them know! Click here for more information on this book! 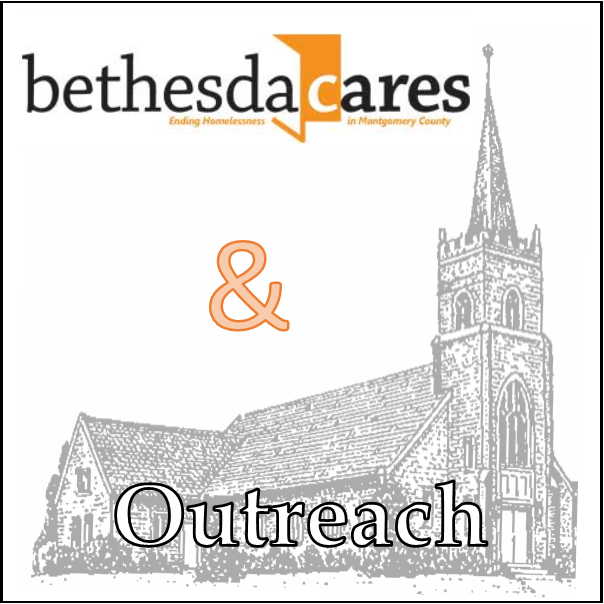 Bethesda Cares has asked us if we would collect water year round. Even in the cold months, clients get dehydrated due to the cold and wind. The Outreach Committee has placed a basket in the vestibule to collect 8 oz. (small) water bottles for Bethesda Cares. Thank you for making a difference! 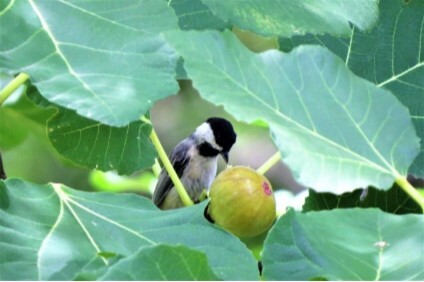 But what about the parable of the fig tree? have to do with it! All Parish Dinner on Wed. April 3 at 6:30 to 8PM Let's gather this Fourth Week of Lent to break bread together and encourage one another on our Lenten journey to Easter. There will be good food, good conversation and game-time fun for the kids! 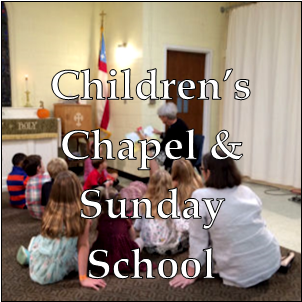 RSVP to Ann Enkiri at sundayschool@ccpk.org by Friday, March 29th. Samaritan Ministry Empower the Homeless Walk on Saturday April 6 We want to encourage as many kids, youth, parents, everyone to consider adding your voices to this important outreach effort to eradicate homelessness in our community! There is no fee. Everyone can register on the signup sheet in the foyer. Thanks!! Questions? Please contact Doug Leavens at Dleavens07@verizon.net . Throughout the six Sundays of Lent, we will learn The Lord's Prayer through a variety of multi-sensory activities, including making Lord's Prayer Beads, signing the prayer, singing the prayers, and using water color, clay and bread-baking to express what each line of this Jesus-given prayer means. All are welcome to join us for this Lenten series of lessons: PreK-K in Godly Play; Grades 1-3, and Grades 4 & 5. Come help us identify our many blessings and help us find ways to share with others in our community. Join in the Easter Festivities by attending our annual Easter Egg Hunt: Easter Sunday, April 21, after the 10 AM Holy Eucharist! Multicultural Dialogue on Racism & Bias: Seeing the Divine in the Other This will be the 4th annual 3 part gatherings sponsored by the Montgomery County Faith Advisory Council. The first is being hosted by the Islamic Community Center of Potomac, 10601 River Rd, Potomac, MD on Sunday, April 7th at 6:30pm for refreshments and 7:00pm for the facilitated program. Shaare Tefila Congregation in Olney will host the second, and we are hosting the third session on June 13th! Attend one or all. This is a wonderful opportunity to gather with neighbors of all faiths to understand ourselves and one another, and contribute to the well-being of all. Click here to see the flyer for this event and to register! 2) Lenten Mediation Booklets from Episcopal Relief and Development are available in the back of the church for you to take home. Please pick one up, or sign up ( www.episcopalrelief.org/church-in-action/church-campaigns/lent ) to have the meditations sent to you by email daily during Lent. Each day brings a reflection from a different location.